When we received an amazing box of Halloween surprises from Disney, there was one question we had to ask ourselves. 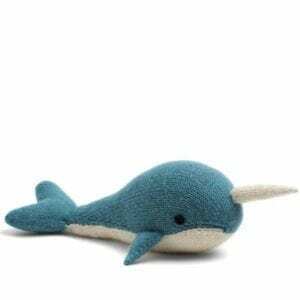 What would Dory do? That answer was simple. Throw a Finding Dory Halloween party! 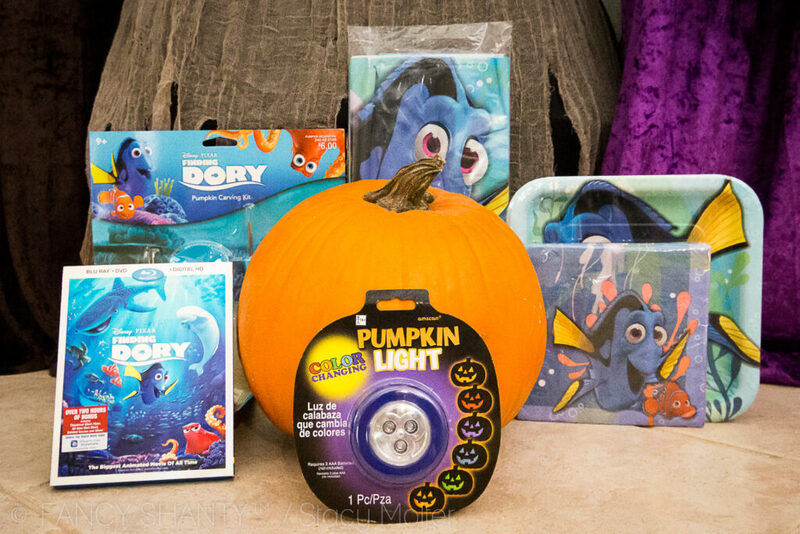 We're sharing all the treats (we'll leave the tricks for Halloween night) you'll need to throw your own Finding Dory Halloween party with fun themed activities, DIY costume ideas, printable crafts, and pumpkin stencils to help you have the most unforgettable Halloween ever! Disney•Pixar’s Finding Dory swims home just in time for the holidays on Digital HD on Oct. 25 and Blu-ray™ on Nov. 15, featuring extensive extras featuring the creative talent of Pixar and the all-star cast! 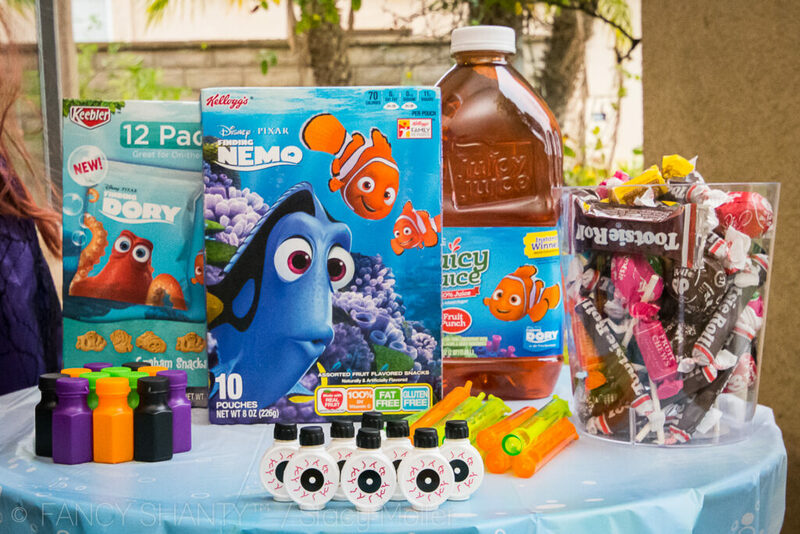 Setting up a party table is simple with the variety of Finding Dory snacks and drinks available in-store. Best of all, the Finding Dory snack below are all peanut-free making them safe for children with nut allergies, like our own. 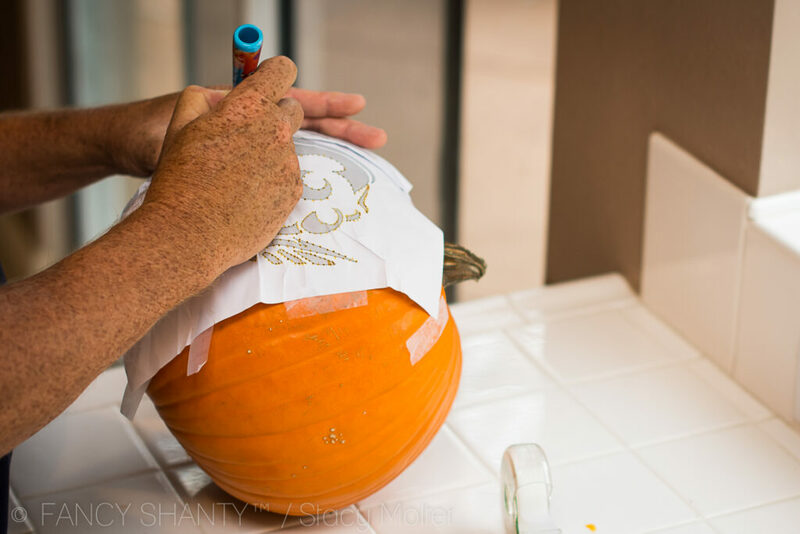 These fun Halloween themed activities and DIY costume ideas are prefect for helping you get ready for the big night. 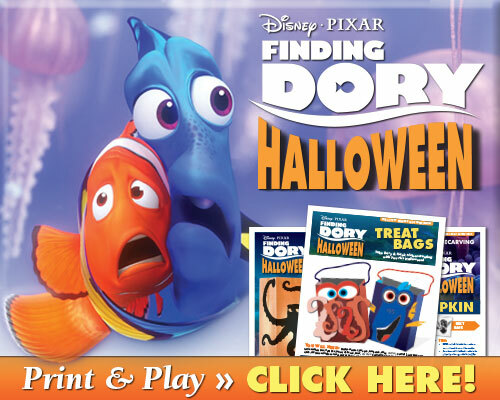 And these Finding Dory Halloween themed activities with fun printable sheets and a pumpkin stencil will help you carve the perfect Finding Dory pumpkin. 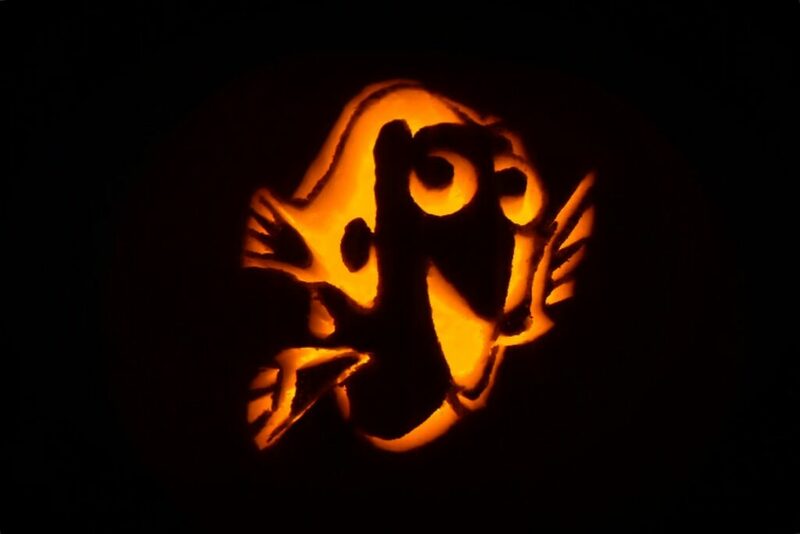 We even tried our hand at carving our own Dory pumpkin and we love how it turned out. What do you think? 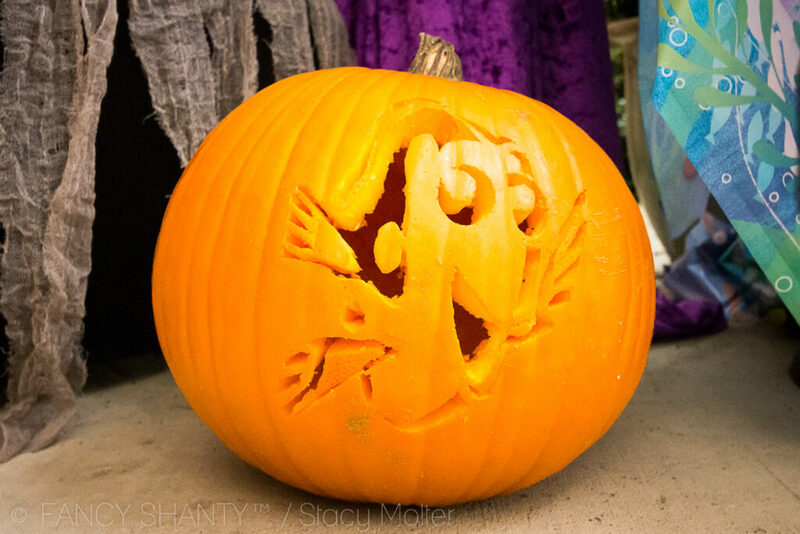 For more pumpkin carving tips, check out the Finding Dory pumpkin carving video tutorial below. Don't forget to pick up your copy of Disney•Pixar’s Finding Dory on Digital HD on Oct. 25 and Blu-ray™ on Nov. 15. You'll love the extensive extras featuring the creative talent of Pixar and the all-star cast!